At the Oak Bay Marine Group, we have a long standing tradition of excellence in food & beverage quality, style and service. Each of our waterfront dining facilities offer a wide variety of cuisine with a local flare. 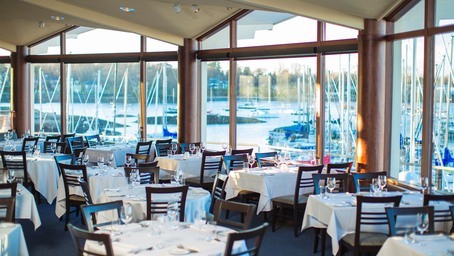 Victoria, BC – The award-winning Marina Restaurant is a local favourite for delicious seafood, regional cuisine and Sunday Brunch. 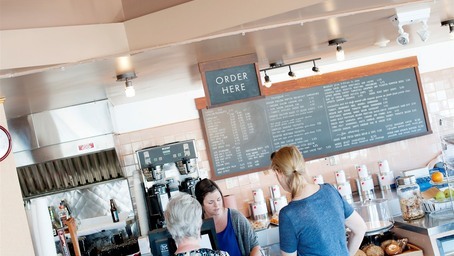 Victoria, BC – Located at Oak Bay Marina, the Marina Dockside Eatery serves freshly baked pastries, sandwiches, Caffe Fantastico coffee and is fully licensed. 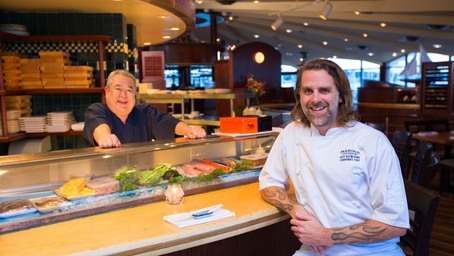 Victoria, BC – The Sushi Bar at the Marina Restaurant is proud to be the only fully Ocean Wise Sushi Bar in Victoria. Join us for lunch and dinner.